While much of the world was eulogizing Nelson Mandela, some of Sen. Ted Cruz's followers were fuming that the man who defeated South Africa's apartheid and won the Nobel Peace Prize should be reviled as a communist and a terrorist. They were also critical of Cruz, R-Texas, for praising Mandela. The death of Mandela Thursday at age 95 prompted an outpouring of praise from around the world. 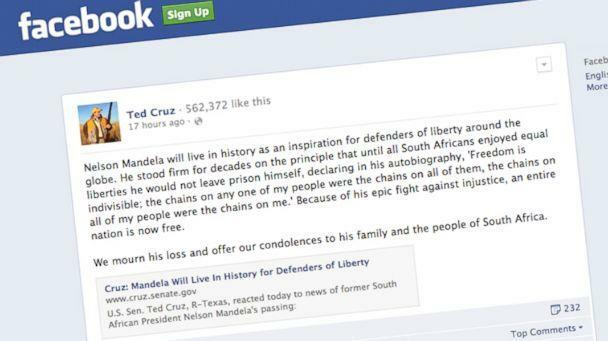 Cruz also eulogized Mandela on his Facebook page, writing, "Nelson Mandela will live in history as an inspiration for defenders of liberty around the globe… Because of his epic fight against injustice, an entire nation is now free." The senator's office defended the post, which got over 5,000 likes. "Mr. Mandela deserves to be remembered and honored for his sacrifices in pursuit of freedom for the oppressed and his historic achievements to that end," said Cruz spokeswoman Catherine Frazier. But some of his followers were dismayed by the senator's praise. "Let's not forget that Mandela called Castro's Communist revolution 'a source of inspiration to all freedom loving people," wrote Mike Bates in the most liked comment on the post. "Mandela was a white hating killer and his wife continued his tradition..including torture and immolation of enemies," said Bob Ciuffa. "Honoring him is like honoring the prince of darkness." "Sad to see you feel this way Ted," wrote Tom Griffin. "He was a terrorist. I guess you have only seen the Hollywood movies." "May he rest in peace. But I was afraid this day would come, when Ted Cruz would disappoint," said Dan Knopp. "He might as well just let it all out know and let us know who he really is…Can't support someone who doesn't know history, accepts the rewritten version, or is willing to risk his base pandering to the politically correct crowd." "Um, yeah, Mandela was a communist and was involved in torture, terror, and murder," said David Frey. "Just lost a lot of respect, Senator Cruz. A whole lot." 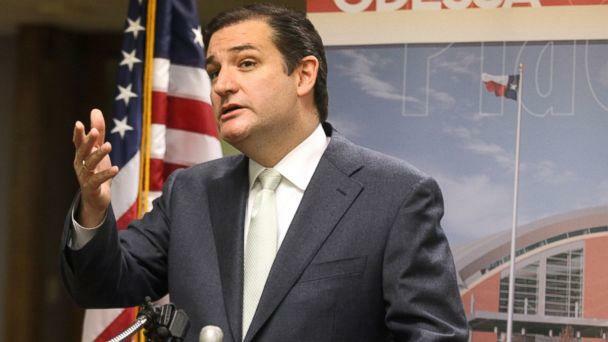 Cruz's office did not return calls seeking comment on his followers' posts.